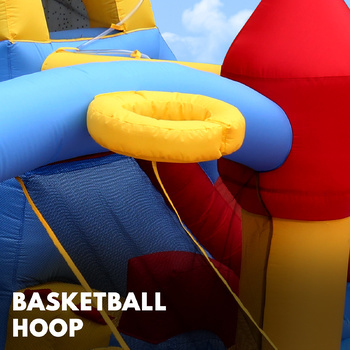 Are you a parent or someone in the business of kids’ entertainment? 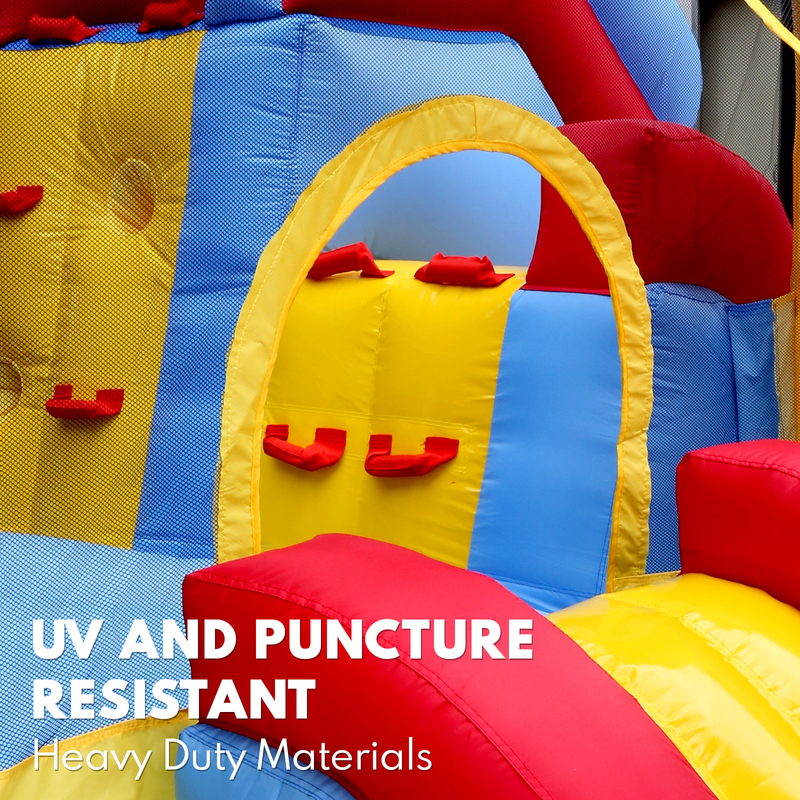 Take a look at this colorful bounce house with its 680W blower that will inflate within minutes. 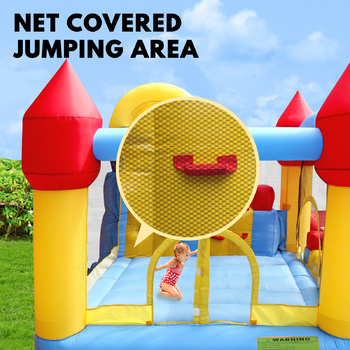 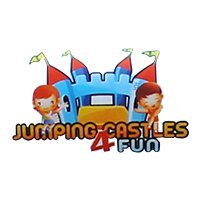 This jumping castle will be the highlight of any party or holiday as it features an array of fun activities. 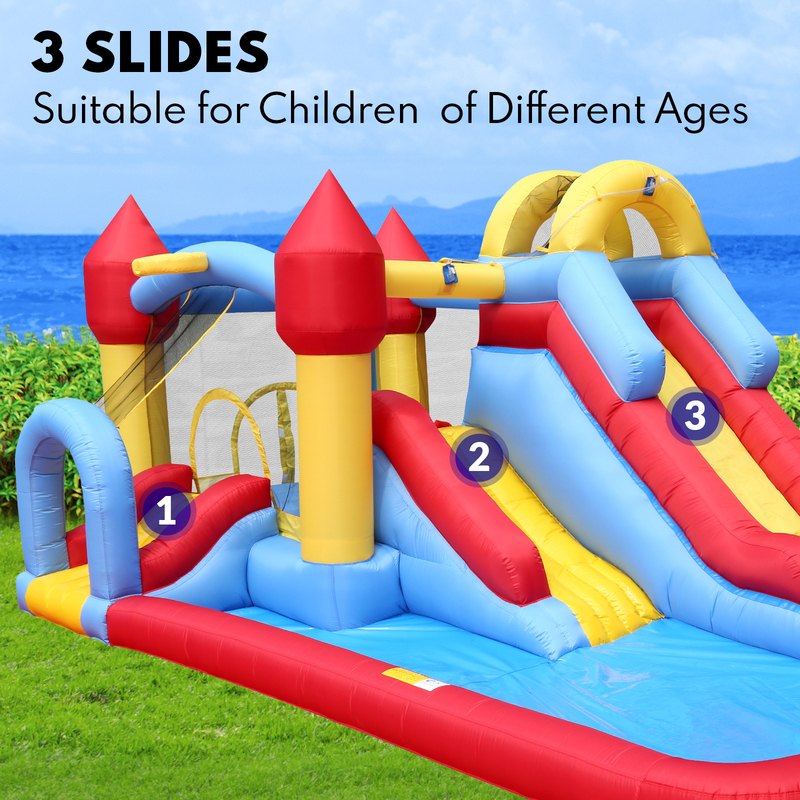 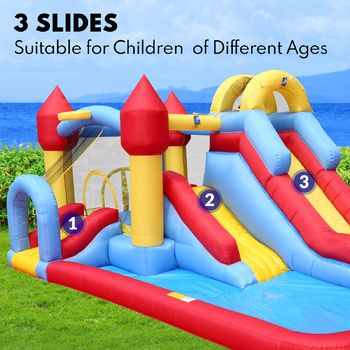 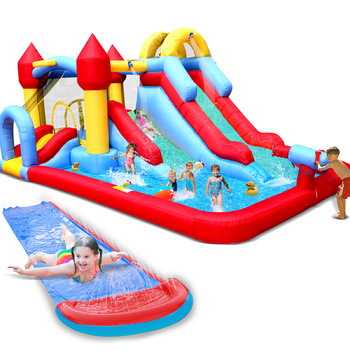 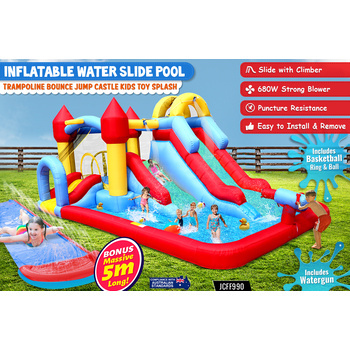 These include three slides that are suitable for children of all ages, a basketball, basketball ring, and water gun. 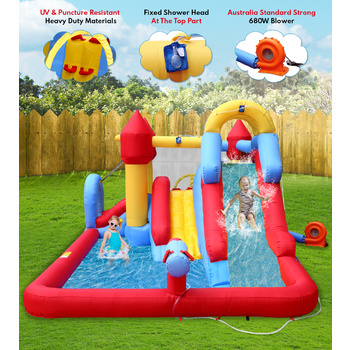 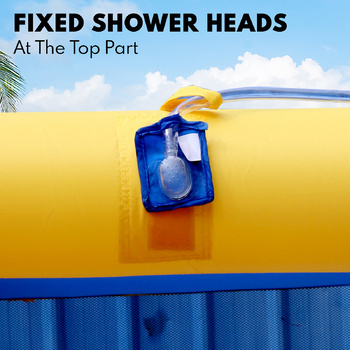 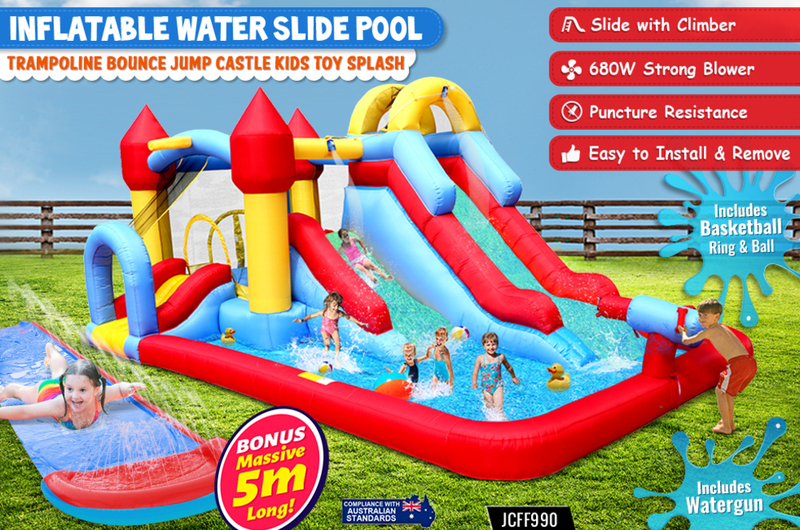 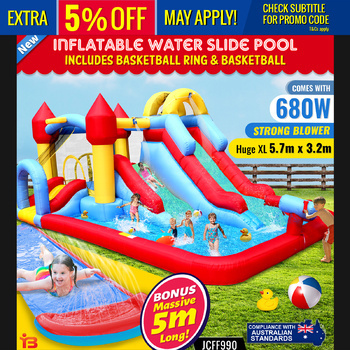 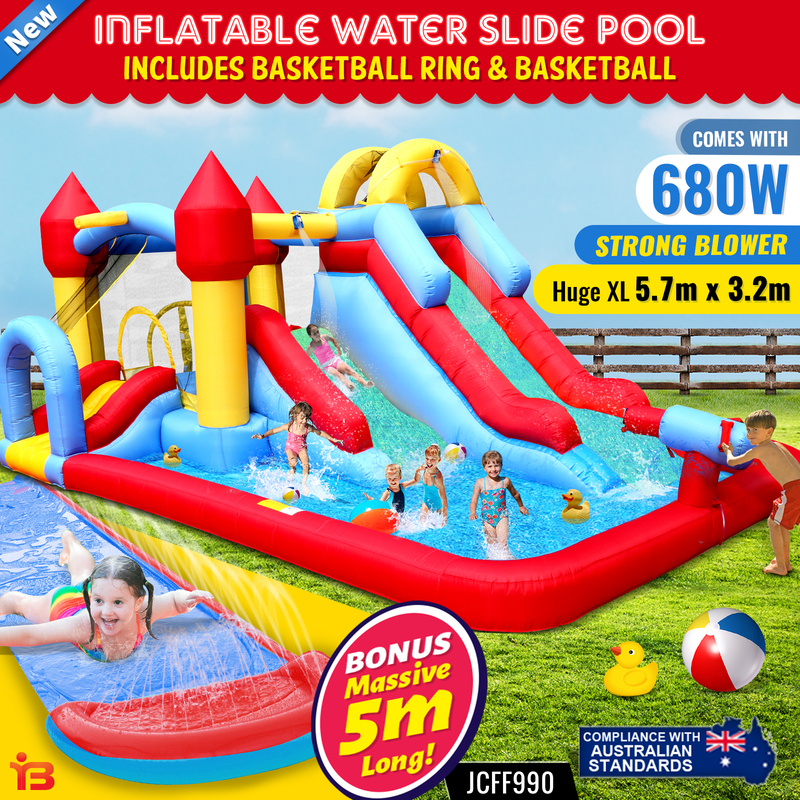 The jumping castle is ideal for Aussie summers as it is fitted with a built-in water turret for cooling down as well as an UV-resistant coating. 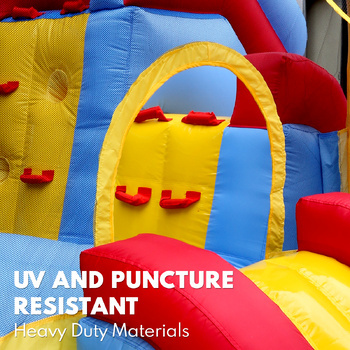 Speaking of protection, the jumping castle is made from heavy duty and puncture-resistant materials to keep kids jumping, sliding, and having fun for years to come. 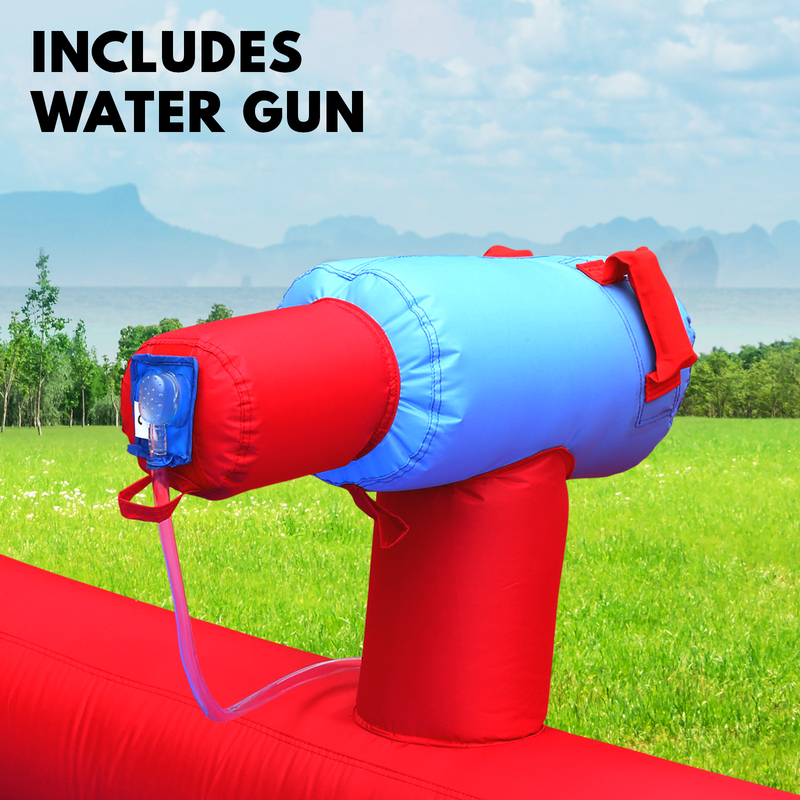 Safety comes first. Supervision is made easy by a net that surrounds the bed. 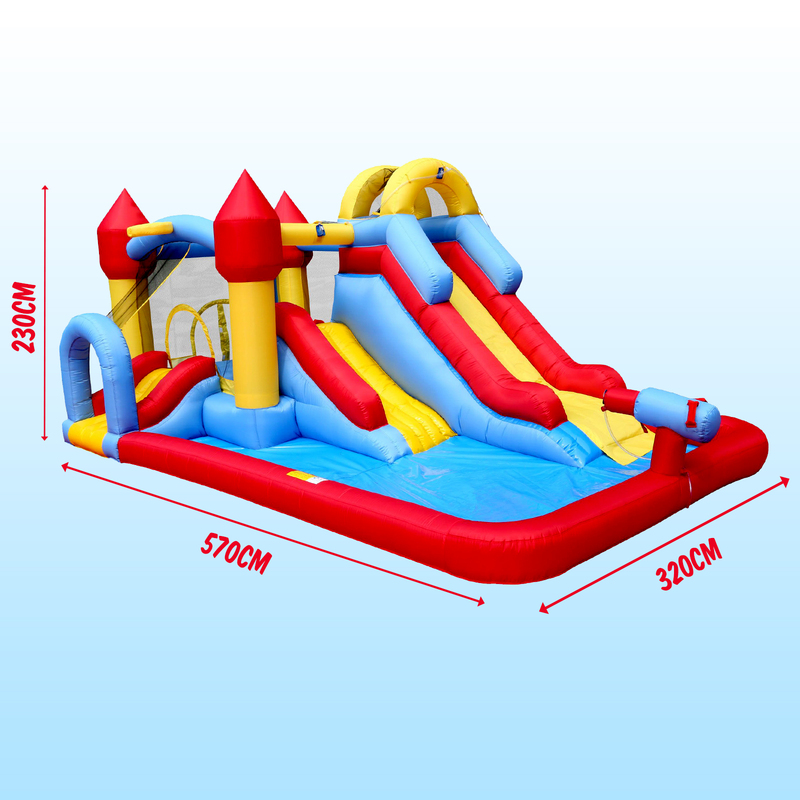 There are no hard surfaces, and the jumping castle can be securely fastened with 4 ground pegs. 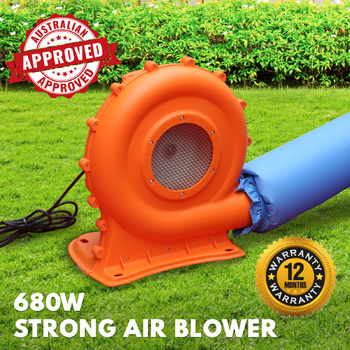 Installing and removing the unit is completely effortless and quick. 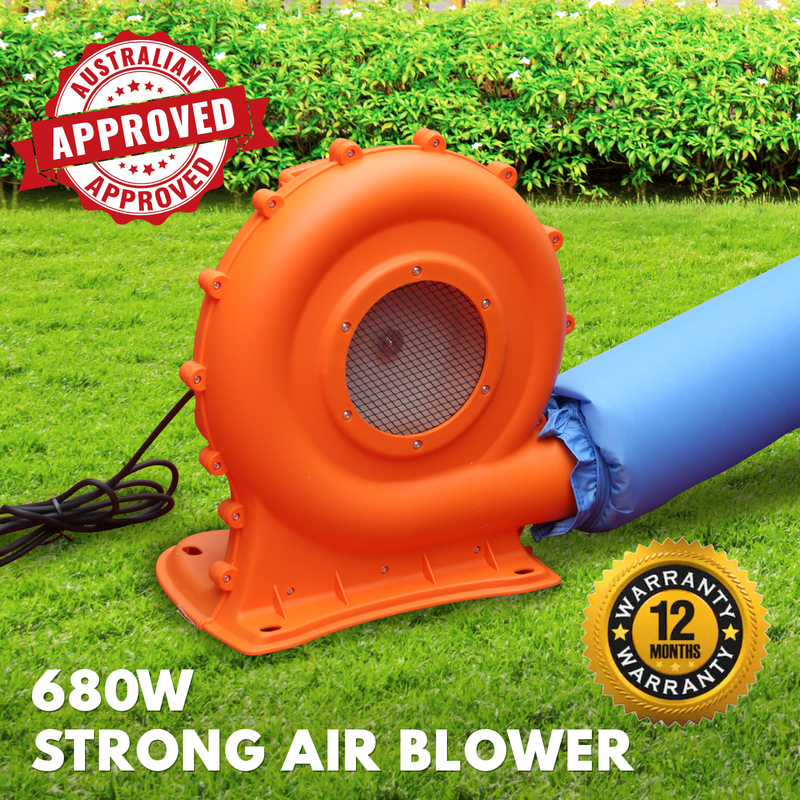 Buy this advanced fun park today, and receive an Australian approved 680W blower, water pipe with two sprinkler heads, and carry bag. 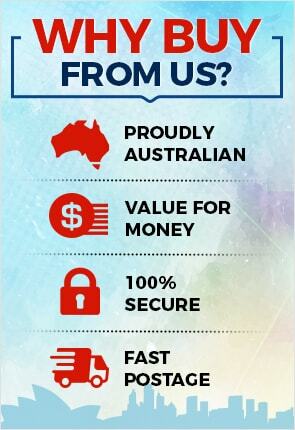 As an added bonus, we’ll also throw in a repair kit and 12-month warranty! 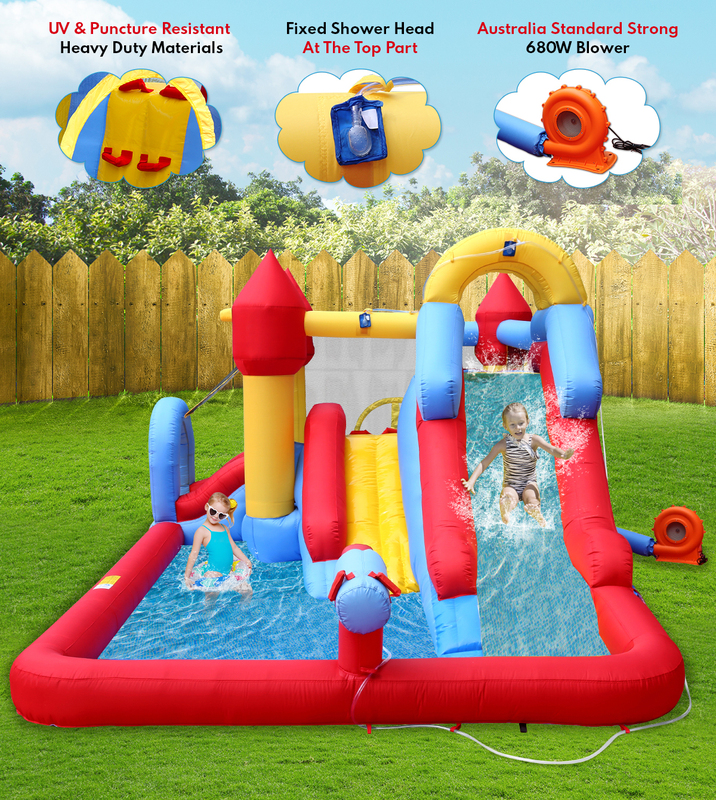 Buy your kids’ inflatable jumping castle today and give them a summer to remember!